Two powerhouses team up to bring young readers a sweet and inspiring autobiography of one girl who made her dream a reality. Vegbooks contributors Jennifer and Jessica (not once, but twice!) have fawned over Patrick McDonnell’s work, but now they and you too can appreciate his artistic style and prose in a different light. None of the mutts that made McDonnell famous can be found here, but several of the protagonist’s own drawings and puzzles make a debut. In Me…Jane, McDonnell records the curious making of a young naturalist: bonding with a stuffed animal friend, watching birds make a nest and spiders spin a web, absorbing information about flora and fauna like a sponge, climbing trees, learning how eggs are made firsthand, and dreaming of a life helping animals in Africa. The cartoon-illustrated and simply written text leads up to a fully colored photograph of famed primatologist, animal advocate and UN Messenger of Peace, Dr. Jane Goodall, reaching out her hand to meet that of a baby chimpanzee, a tell tale image that her dream came true. 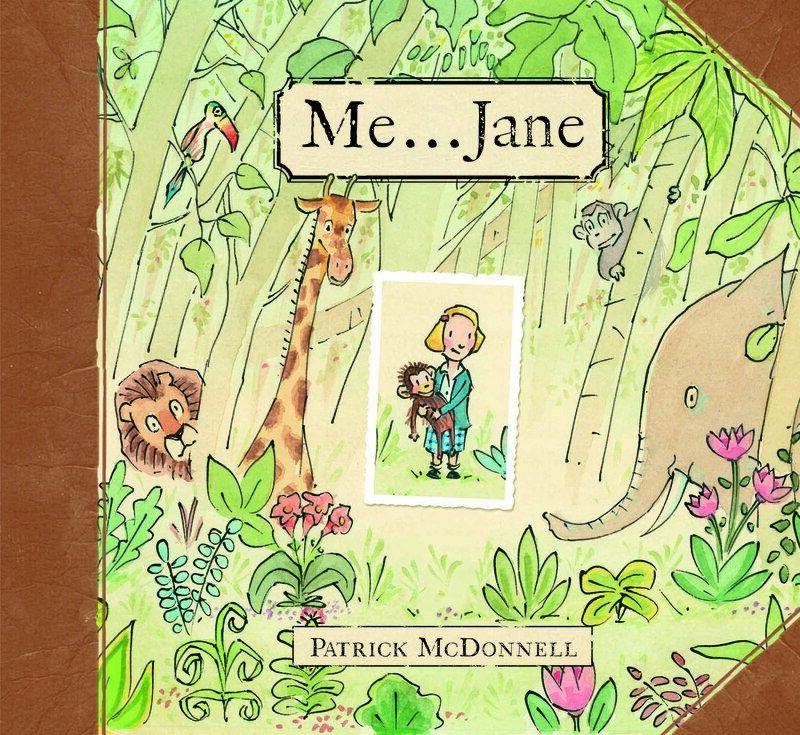 Me…Jane is an touching biography because every reader can identify with Jane’s nature explorations of her youth and come to believe that they too can realize their ambitions. I teared up at the final photo, it was such a cool way to end. I read some people had misgivings about the use of the word “miracle” to describe the chicken laying an egg in the book, what did you think? In the context of a young girl viewing it I didn’t mind the word but it did strike me as an odd one to choose. Great review! Granted, the egg isn’t fertilized yet, so there’s no miracle at work, but for a young child who doesn’t know about fertilization, I suppose McDonnell is hitting the nail on the head. He’s meeting his young audience on their level, not our adult level. From this perspective, I think its fine and if anything what it should be. Why should humans be the only ones gifted with the miracle of life experience? Maybe I’m reading too much into this? Or perhaps its the other reviewers who are reading too much into it? Thanks for this review! My daughter received this book for her 6th birthday and it’s truly lovely. So much of Jane Goodall’s early life reminds me of my daughter, who’s current goal is to grow up to be an animal rescuer in India. Her description is some kind of a cross between Diego and Jane Goodall. I like this book’s “if you dream it, you can do it” attitude. 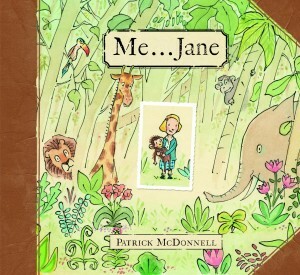 I like that my daughter see’s herself in Jane Goodall through this book. This book is mostly about her early life so I appreciate the biography in the back that tells readers why we need to care about Jane at all. My daughter was already familiar with Jane’s accomplishments from a favorite book in our house, The Watcher (http://vegbooks.org/index.php/2012/06/17/the-watcher-jane-goodalls-life-with-the-chimps/). That book focuses more on Jane’s research. These two books together make a nice pair for a child interested in primatology. I love the idea of pairing those two books–what a nice gift that would make!